Whether you are a beginner, or a qualified therapist looking to improve your skills, the one-day Eyebrow and Eyelash treatment course at Chill Out Beauty is a great option. Once you have completed the course and received the certification, you can begin to offer eyebrow and eyelash treatments to your clients, including tinting and shaping. Contra-actions and advising on care after the treatment. 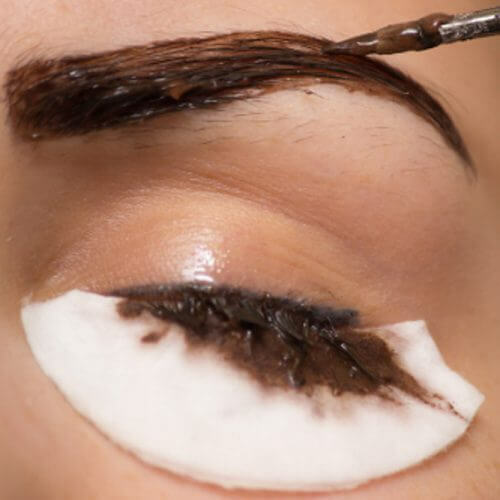 The above course aims to teach students how to perform various treatments relating to eyebrows and eyelashes such as eyelash tinting, eyebrow shaping and more. The course runs for one day and you’ll be invited back for a further half day for assessment. You will be asked to practice on models throughout the course. There is no experience required to complete this course. It is a one and a half-day course ideal for beginners who are new to the industry, or alternatively, qualified therapists who are looking to update their eyebrow/eyelash treatment knowledge. £150 deposit is required to secure your place. Refunds are not given unless you give a cancellation notice 7 days before the course is due to start. Made me feel welcome and i learnt loads ! Good Explanations & Demonstrations. Definitely recommend! Carryout treatments on clients. Tutor Sarah was lovely as well as Katherine, helping and advising with a wealth of knowledge. I enjoyed the hands on approach and being able to practice on several models.